Christmas is fast approaching, and what better way to show your customers you care than with Christmas Cards! So, I hear you ask, what does this have to do with our Report Designer Session Sage 200 Christmas Special? Well there are many ways you can utilize Report Designer within Sage for many business opportunities, labels being just one of them! Free label! Yes, you read that right, we all love a freebie. As part of this Report Designer Beginner Session Christmas Special you will receive a free label which you can use on envelopes and/or parcels for customers before Christmas. 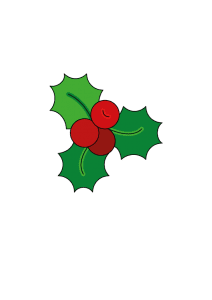 The label has been pre-designed to bring through your customers details including main contact name, customer account name and address finished with a sprinkle of Christmas Holly. A guide on Adding a Report to your Menu. This guide will show you the steps of adding a custom report as a menu item on your Sage menu. Once creating a custom report, layout, letter or label within Report Designer you can make sure this is accessible through Sage using this guide! Giving you the confidence to change and amend layouts. It is important for a business to remain professional and on top of their game, business reports, layouts, letters and labels are essential for day to day running, customizing these will ensure all details required are shown. As part of this training session, we aim to give you more confidence using Report Designer. Knowledge. Knowledge is most definitely power. Having a greater knowledge and understanding of Report Designer is beneficial for any business. 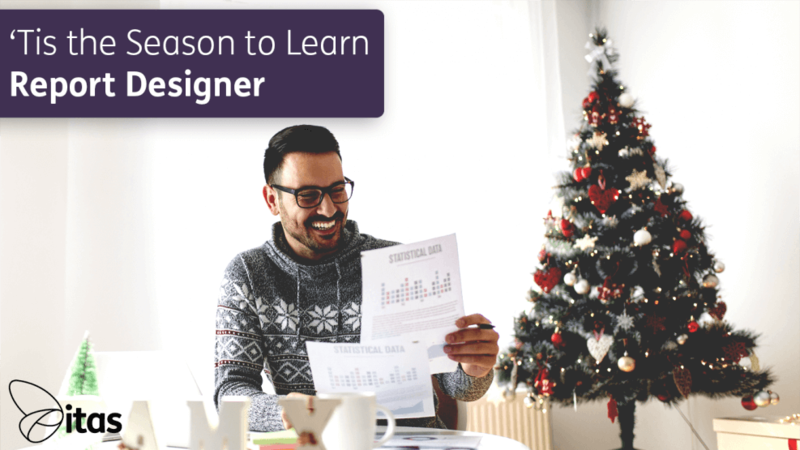 There are so many great hints and tips you can use that put your business at an advantage, and after our Report Designer Beginner Session Christmas Special not only will you be able to create joyful labels and letters, but you can use this new found knowledge to create bespoke reports custom to your business’ needs. FREEBIE, FREEBIE AND ANOTHER FREEBIE! We’ll design you a letter stating Christmas Opening Times which you can then use to send to your customers. Interested? Then please get in touch and send your details to info@itas.org.uk. This training session will be held on Wednesday the 29th of November 2017 at 10am, the session will last approximately 2 hours.